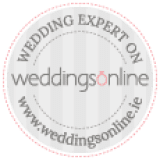 At the sunny Algarve you will discover dream locations that will make your dream wedding come true and Algarve Events will be delighted to assist you with all the details. We offer intimate places are which provides the privacy you want for your ceremony. There are amazing intimate places for your to have your ceremony and our wedding & event planners experts will guide through the different types of ceremonies either its a civil ceremony ,Catholic Church, Christian, Baptist, Church of England, Evangelical, Protestant, Symbolic, Humanist, Jewish, Indian or Hindu ceremony. Why not surprising your other half and do a vows nenewal? Our experienced team will advise and assist you in acquiring the legal paperwork necessary to marry in Portugal.